RFYS To Get Underway On 16Th August! 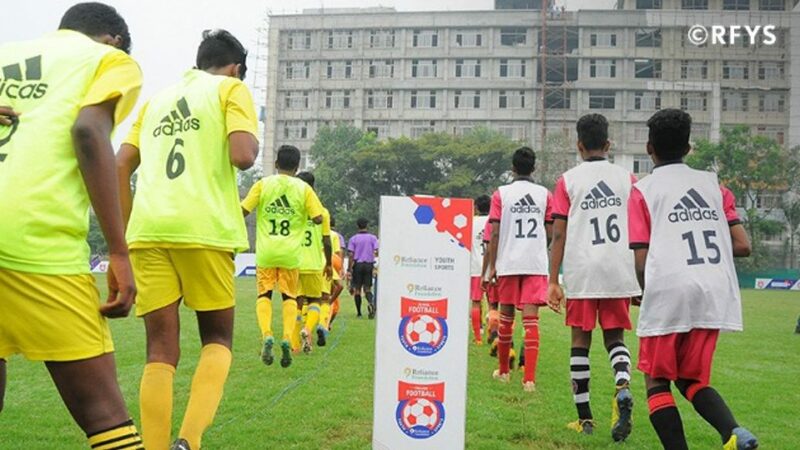 The second edition of the Reliance Foundation Youth Sports tournament kickstarts on 16th August in Kochi, Kerala, when home team Rajagiri Higher Secondary School take on visitors Assisi Vidyaniketan Public School at the venue of the home team. This year, the football competition has expanded to include 17 cities across India with Aizawl, Shillong, Imphal, Chandigarh, Jamshedpur, Ahmedabad, Kozhikode, Bengaluru and Hyderabad joining Delhi, Mumbai, Pune, Goa, Chennai, Kochi, Kolkata, Guwahati. The competition involves four categories: Junior Boys, Senior Boys, College Boys and School Girls. RFYS has also expanded to include athletics in the various categories in accordance with its view to develop sports in India as a whole. With the aim of inculcating the values of integrity, inclusion, empowerment, inspiration, respect and excellence, RFYS will hope to reach out to more than 20,000 student athletes. One of the major success stories of the 2016 competition was Ajith Sivan, who caught the eyes of ISL bigwigs Kerala Blasters and was roped in for the 2017-18 Hero ISL season. Ajith’s story from a school athlete competing in the RFYS, to being a part of the U-23 coaching camp and finally to a team in India’s top football league is nothing short of a fairy tale. His presence at the opening ceremony along with his soon-to- be-teammate CK Vineeth will give the student athletes a big dose of inspiration and set the tone for the kind of standards they set for themselves in the tournament. RFYS is turning out to be the defining sports platform that forms India’s base for a strong foothold in the world of sports. All in all, RFYS should once again be an amazing spectacle to look forward to where the best youth talent in the country will sweat it out for top honours and recognition. The opening will be streamed live on RFYS official Facebook page and on rfyouthsports.com, as the competition kicks off at 2 pm IST to signal the start of what will be another exciting season!